The Mister Bass Clef® teaches PIANO Theory series was designed to teach theory through writing. Each new concept is introduced and clearly explained. After the Primer Level, Do you Remember? pages reinforce concepts learned in previous levels. The summary at the end of each level includes the concepts learned in the corrent level along with those learned in the previous levels for easy reference and review. All exercises should be completed in pencil so that corrections can be eaily made. 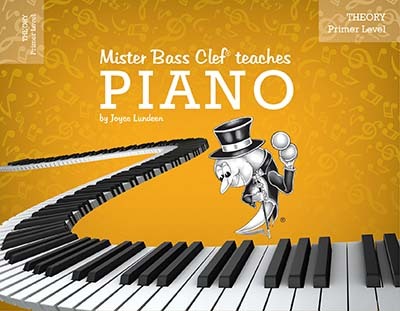 Mister Bass Clef® teaches PIANO Theory Primer Level can be used with the primer level of any piano method series. 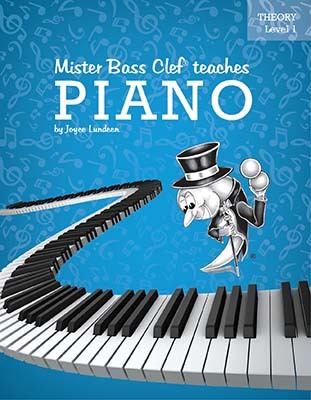 Mister Bass Clef® teaches PIANO Theory Level 1 can be started after completing Mister Bass Clef® teaches PIANO Theory Primer Level. Mister Bass Clef® teaches PIANO Theory Level 2A can be started after completing Mister Bass Clef® teaches PIANO Theory Level 1. Mister Bass Clef® teaches PIANO Theory Level 2B can be started after completing Mister Bass Clef® teaches PIANO Theory Level 2A. 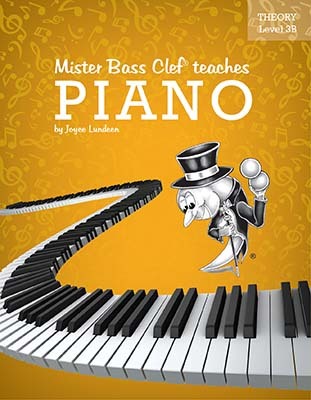 Mister Bass Clef® teaches PIANO Theory Level 3A can be started after completing Mister Bass Clef® teaches PIANO Theory Level 2B. Mister Bass Clef® teaches PIANO Theory Level 3B can be started after completing Mister Bass Clef® teaches PIANO Theory Level 3A. The Teacher's Answer Key for Mister Bass Clef® teaches PIANO Theory includes the answers for every page of the Primer Level through Level 3B books.